Organic bedding made from the healthiest materials, designed for quality and comfort. 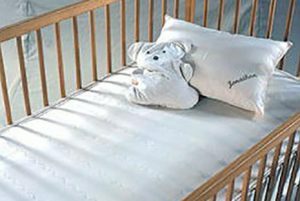 Organic bedding choices include organic cotton mattress pads, wool filled comforters, organic cotton sheets and organic cotton blankets in various thread counts, weights and textures. 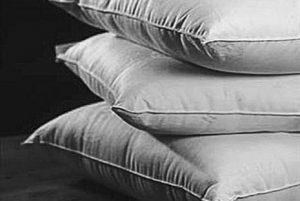 Pillows are filled with a choice of organic cotton, natural and organic wool, natural shredded rubber, organic buckwheat, organic millet, or kapok — in different sizes and fill-weights. A lot of our pillows are even adjustable! Organic sheets, natural pillows, and bedding! Consider changing to all organic from conventional linens and bedding! Not only will you sleep better with natural fibers, but you can also avoid many toxic chemicals. Even 100% cotton sheets can be treated with formaldehyde as a wrinkle reducer. 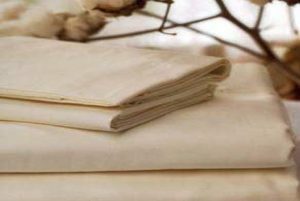 Many conventional sheets are not even made from 100% cotton. 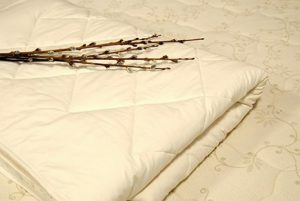 A typical sheet set purchased from a department store is a mix of polyester and cotton. Polyester is not conducive to breathability and heat regulation during sleep. Choose sheets made from 100% organic cotton. All of our cotton sheets are made from 100% organic cotton and are not treated with any harsh chemicals or dyes. We carry Coyuchi, Gotcha Covered, Sleep and Beyond, Naturesoft, and Savvy Rest. Choose a natural pillow! We have organic cotton fill pillows, wool pillows, natural latex / natural rubber pillows, organic buckwheat, organic millet, and kapok pillows. Many have zippers so you can add or remove fill to adjust to the exact fill amount that is comfortable for you. All are natural with no chemicals or treatments! To stay warm, how about an organic blanket or organic comforter? 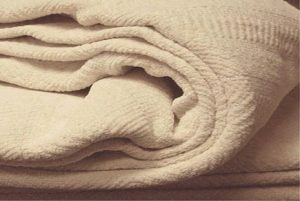 Check out our great selection of 100% organic cotton blankets! 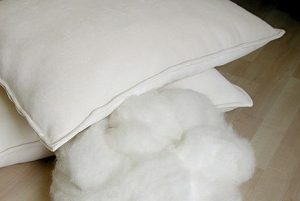 For a bit more warmth, we also have organic comforters made from wool or alpaca fill, wrapped in 100% organic cotton. 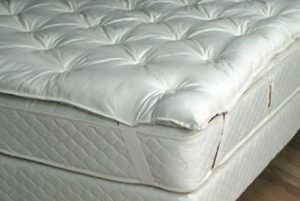 Protect your mattress with an organic mattress pad. Made from organic cotton or organic cotton and wool, easily wash your mattress pad and keep your mattress pristine. To finish the aesthetics of your bedroom, and to protect your comforters and pillows, we have duvet covers and pillow shams.